More info:Price depends on date and cabin choice. Price quoted is per person in shared cabin. Sail power has very obvious ecological benefits, vastly reducing the carbon used in any form of travel as well as reducing emissions. All the crews are experienced sailors and love to sail if possible. Although we cannot use the sails all the time and in all conditions, they do provide a welcome benefit. Any rubbish and waste generated on the vessel is disposed of responsibly on shore in an appropriate manner. Most tourists to this part of the world stay (and often don’t leave) some large resorts in a few restricted locations, so by enabling our passengers to visit some different areas without putting any strain on local amenities, we are spreading the financial benefits and the load of our visit. The ship’s managers buy all of their produce as possible from local communities, and will also encourage our passengers to spend money in the communities that we visit. By trying some local fruit juice instead of a well known American brand of soft drink, you will support the economy, it will be better for you and who knows, you might find you enjoy it more too. We will encourage our passengers to learn and understand as much as possible about the local traditions, language and way of life to enable them to appreciate the reality of life in this part of the world. 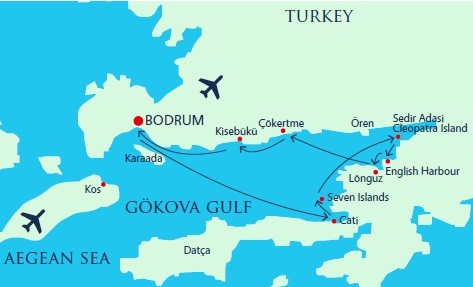 The cruise manager will ask any questions about the region, and will keep all of the passengers updated, not just with the day to day itinerary, but with in depth information about the history and way of life of the local communities.